For the past few years, teams of researchers have been figuring out how to transform carbon dioxide emissions into diamonds, solid rocks, and clean energy. Turns out they can also create art from it. 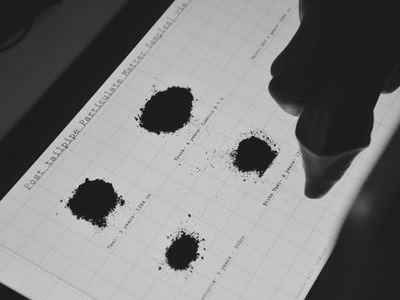 Graviky Labs, a spinoff group from the MIT Media Lab, developed a way to capture air pollution and make art supplies — pens, oil-based paints and spray paints — from the carbon soot. Appropriately dubbed Air Ink, the materials are created by attaching cylindrical devices to the tailpipes of cars, trucks, and motorcycles and capturing the emissions. A device the company calls Kaalink then separates out the carbon as soot, leaving out other polluting agents like heavy metals and carcinogens. 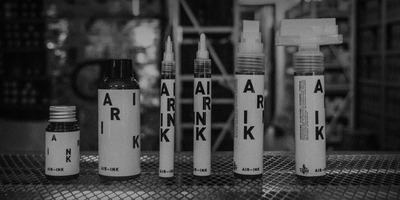 The carbon can then be retrieved from the Kaalink to be mixed with oils and water to make paints, inks, and so on. Just 30-50 minutes of car pollution can generate enough purified carbon to fill an Air Ink pen, Graviky Labs claims. 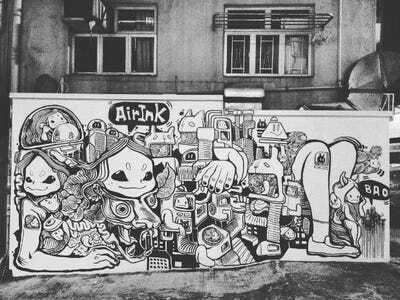 The company, which is based Bengaluru, India, partnered with Tiger Beer to commission street artists to create murals using Air Ink in Hong Kong’s Sheung Wan district. The collection of inky black-and-white art went up on buildings and malls June 17 — you can see more images of them on Air Ink’s website. Anirudh Sharma, one of Graviky Labs’ founders, got the idea to create the ink when he noticed his clothes were getting stained from the heavy air pollution in India, according to the MIT Spectrum. In February, research from Greenpeace, which used NASA satellite readings of air quality, revealed that India’s pollution concentrations overtook Beijing’s in 2015. In May, the World Health Organisation found that six of the top 15 most polluted cities in the world were in India. So the country’s pollution problem is, of course, too big and complicated to solve by sticking cylinders onto tailpipes and turning all C02 emissions into art materials. But highlighting the issue through artistic expression could at least become one of many ways to work towards a solution. Sharma tells Huffington Post India that he’s planning to bring the inks to market by the end of 2016, after receiving certification for the Kaalink device.